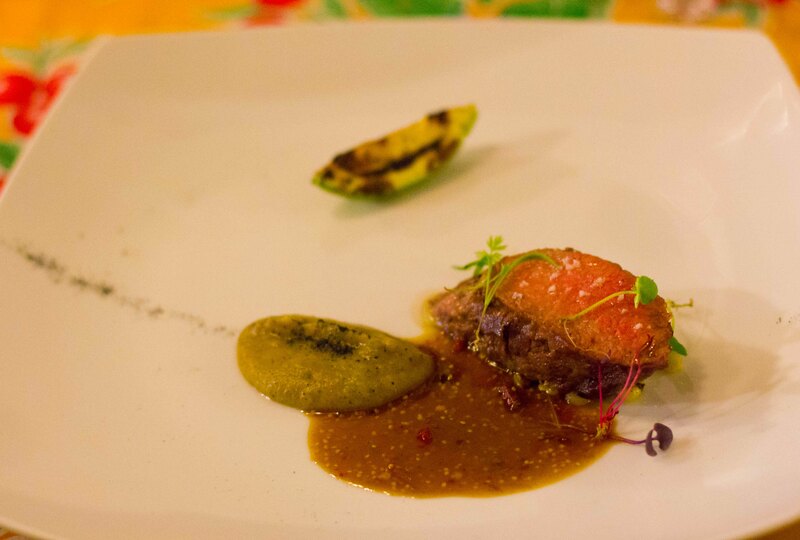 After my fantastic day in the kitchen with Chef Rodolfo Castellanos, I knew that I wanted nothing more from this trip to Oaxaca other than have my last dinner at Origen. 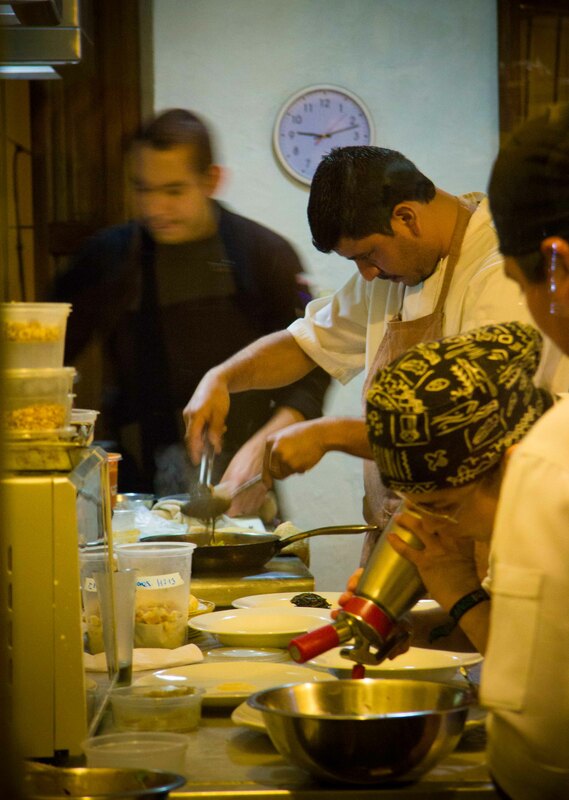 One of the reasons Oaxaca is magic to me is that I have had the opportunity to meet amazing chefs who are passionate not only about the food they are serving but also about their local ingredients and history as well and Chef Rodolfo Castellanos is an excellent example of this. Last year my meal at Origen had the ability to brighten moods and remind me of all that I love about “experiencing food”. 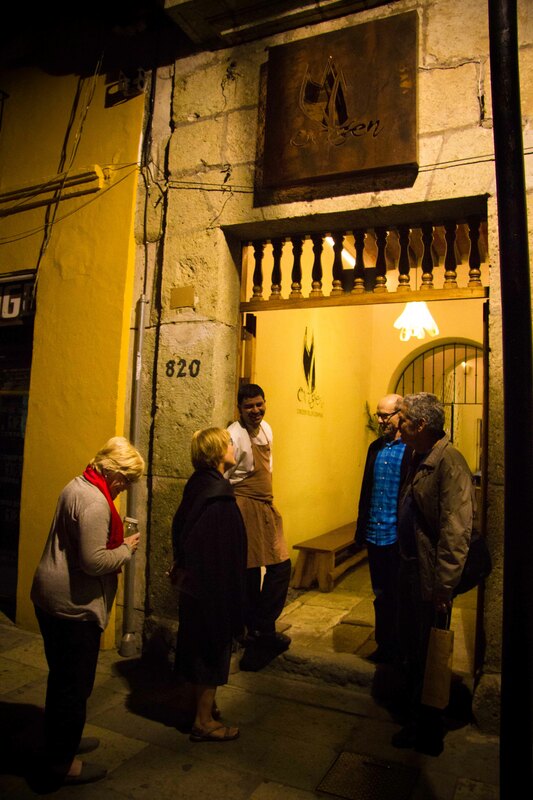 I had specifically chosen Origen as the place I wanted to dine on my last night in Oaxaca because I trusted that Chef Rodolfo Castellanos would prepare a meal for me that would be a proper send-off and solidify my feelings once again that I’d need to return to Oaxaca “soon”. 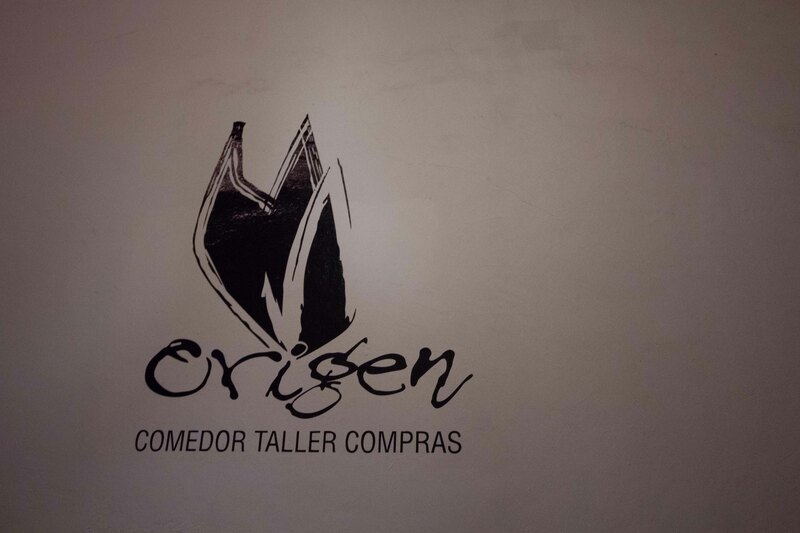 When we arrived at Origen, the table next to the kitchen was set for us. It was the same table we’d spent eating at a few days before, and although part of me wanted to dine in Origen’s charming dining room one last time, (before Rodolfo opened his new space upstairs), I knew there would be no better place to watch a meal being specially created for me (and the rest of my group) than beside the kitchen itself. In the Japanese style of “omakase” we’d asked the Chef to prepare us a dinner to his liking. Because we were sitting beside the kitchen, I was able to peek in throughout service to see Chef working on his meal for us. 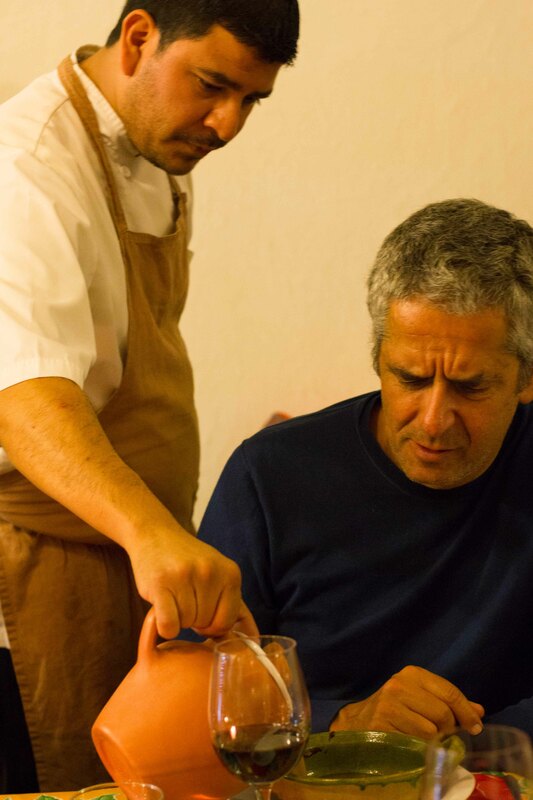 Again, I was struck by how lucky I was to be in Oaxaca and to have the opportunity to have this amazing chef thoughtfully create a menu and prepare it for us. Amuse bouche of rabbit on toast with cranberry sauce. I smiled to myself as we were presented with our first taste of the evening. Shredded meat on cut up pieces of toasted sandwich bread. It was something so simple that you’d more likely see it on a table in a family home rather than being served by a top chef in Mexico. 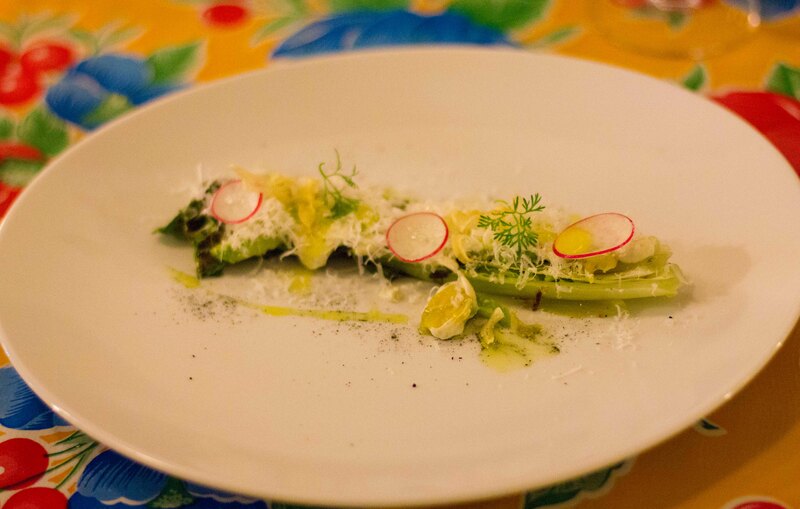 But this beginning to our wonderful meal speaks to Chef Rodolfo’s character. He is quietly confident about his food, which carries through an honesty that I found missing in so many of the meals I had throughout the year. With one bite of my delicious little open-faced sandwich of what was presumably leftovers from Thanksgiving dinner a few days before, I let myself relax into what I knew would be a thoughtful and wonderful meal. 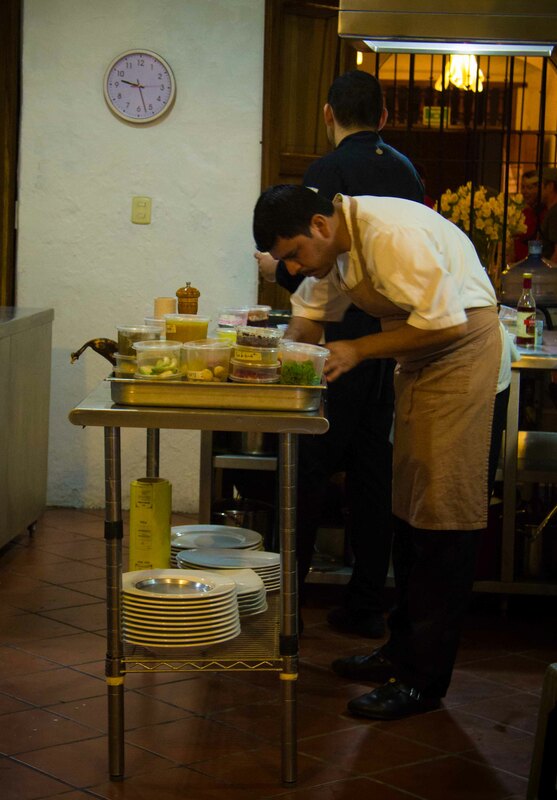 As each course was delivered, Chef Rodolfo would leave the kitchen to help serve and explain each dish. In between each course, I would sneak back to the kitchen to see what the chef had in store for us next. Our first course was soup and served in a manner that I noticed was quite common in Oaxaca, where the ingredients are placed into bowls and the broth is poured overtop at the table. 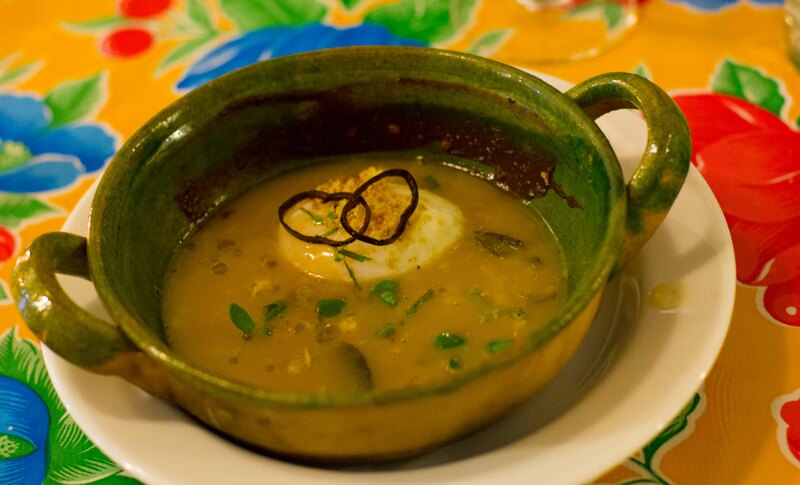 Toasted garbanzo bean soup with a perfectly poached (sous vide) egg and a smear of pasilla chili. 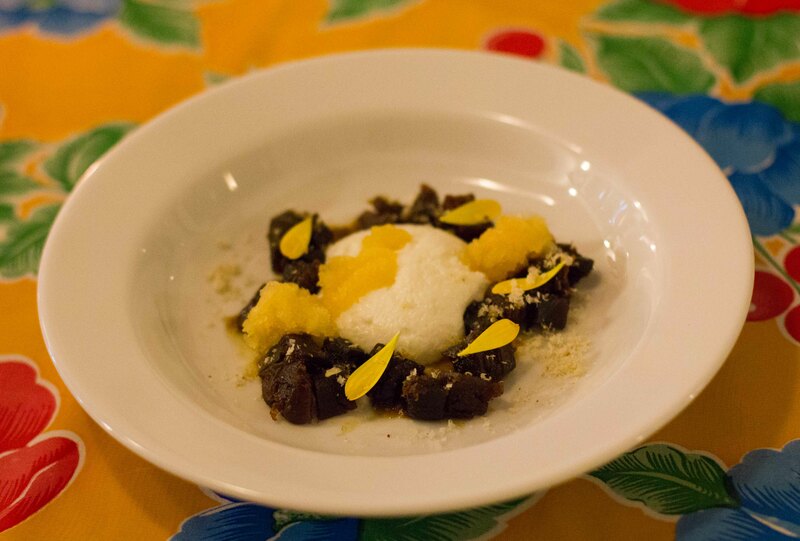 2 dishes in, and I was already starting to feel that although I hadn’t left Oaxaca yet, I was already missing it. Feelings of wanting to return to Oaxaca soon… check! 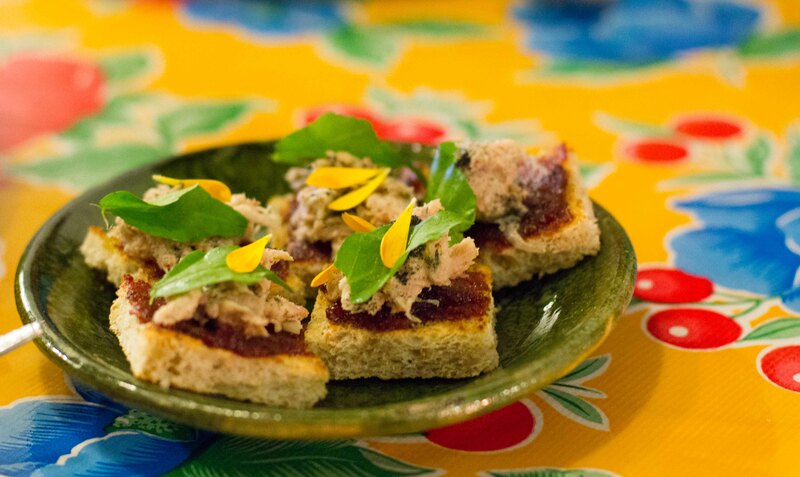 With the last dish presented and eaten, I had a momentary feeling of sadness that my time in Oaxaca had once again come to an end and that I was on the verge of closing the books on another extraordinary year of eating. 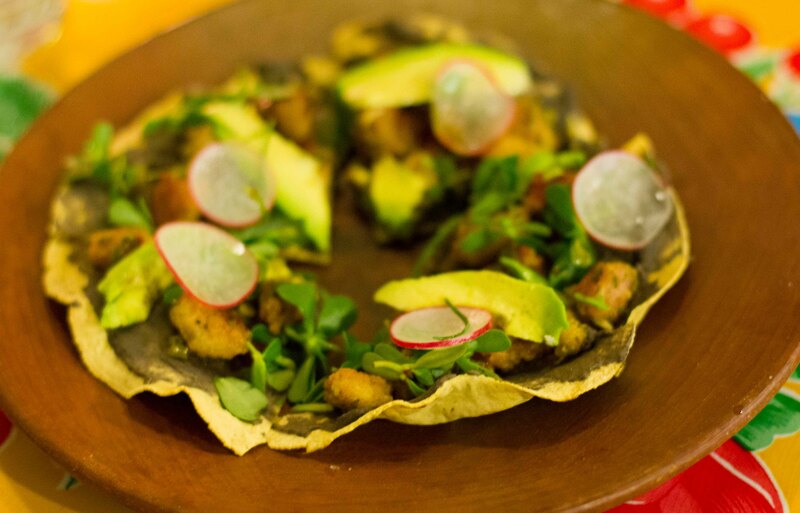 Even though I knew I had 2 amazing meals in Mexico City ahead of me to look forward to, I knew that no matter how incredible those meals had the potential of being, there would be something missing in those that I was able to experience in this meal. Chef Rodolfo came to sit down with us and I got to ask questions about the meal he had prepared for us. We were able to discuss the techniques he picked up from travelling and the things that were inspiring him in the moment. Number one for him was opening his restaurant upstairs and moving his kitchen to this second floor space. 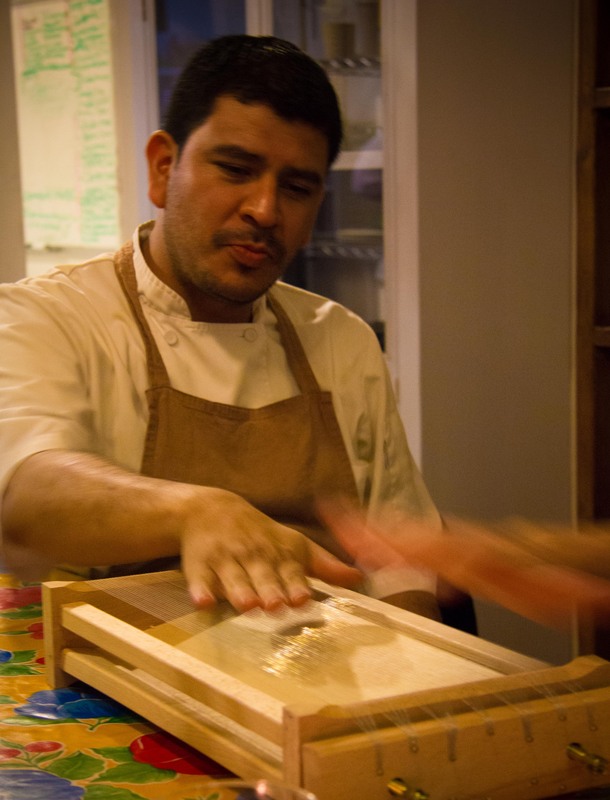 Chef Rodolfo shows us his chitarra that he picked up on his travels to show us how he is learning new techniques. He used this to shape the squid ink pasta we ate that evening. 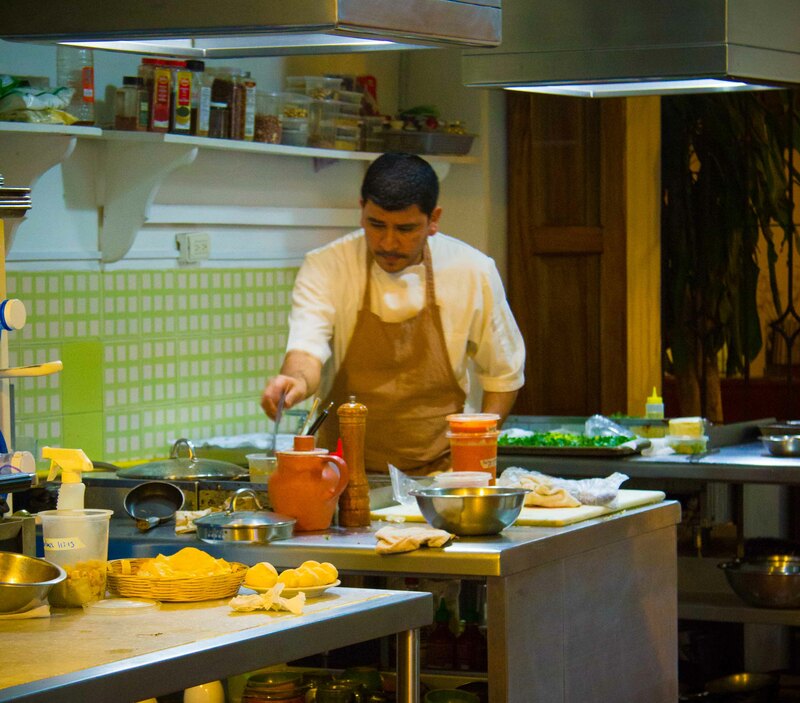 It was mixed feelings that when we ended our night, not only because I would be leaving Oaxaca the next day, but also because I knew that meals like the one Chef Rodolfo had prepared was such a peak experience. I generally pride myself in approaching every meal as a unique and never wanting to compare or contrast with other meals I’ve had. But my dinner at Origen had what so many have not/could not, the Chef’s careful thought and mindful preparation with specific guests in mind. 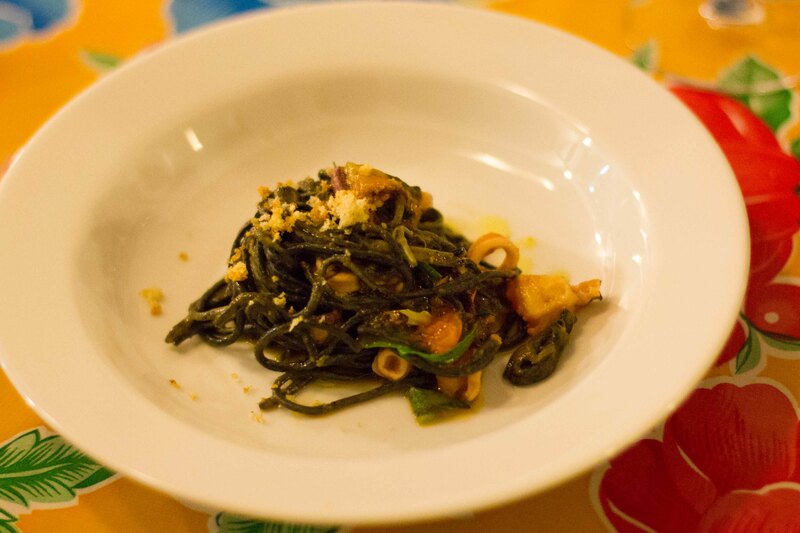 As I peeked into the kitchen throughout the evening, I saw the Chef’s skillful hands creating the meal I would enjoy. It’s something you get to experience when you have dinner at someone’s home, and the part I most enjoy when I cook for others. 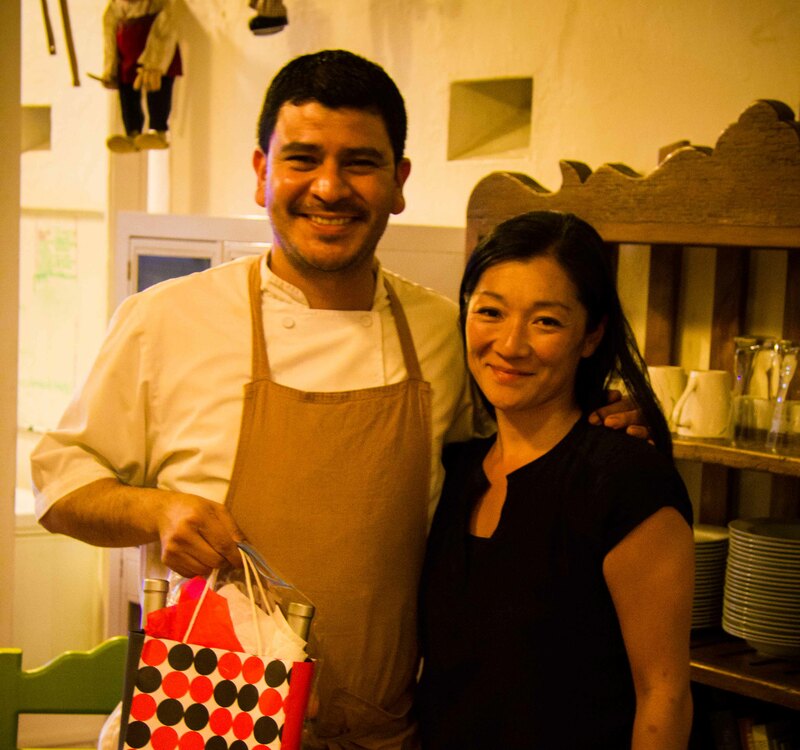 It’s why I must thank Chef Rodolfo Castellanos for preparing one of my most memorable meals of 2013. The pictures look great! The experience sounds amazing. Thanks for this. Next PostNext Biko, ranked #31 in the World?